Topics range from new TLDs to government interference. 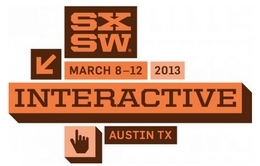 SXSW 2013 is more than six months away, but there are just a few days left to vote for which panels you want to see. 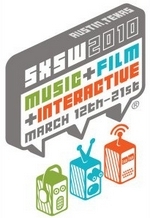 The SXSW Panel Picker closes August 31. I discovered four domain name related panels in the panel picker. Here they are, along with a link to their full description. New Domains Have Landed – Now What!? Jeremiah Johnston gave a “Future 15″ presentation on new TLDs this year. Now that the applications have been submitted he hopes to return this year with an update. DirectEmployers Association is trying to pimp the .jobs domain name with its own session at SXSW. It looks more like a sales pitch than an education session, and it isn’t the type of session that usually makes the final cut at SXSW. A discussion about government domain name seizures, who’s at risk of having it happen, and how it occurs. Artemis is an applicant for the .secure domain name. It wants to talk about how the release of hundreds of new top level domain names will lead to increased threats of fraud, spam, and malware — making it easier for you to get hacked. This could be good as long as they don’t pitch their .secure bid. A few random observations about SXSW Interactive. Since I live in Austin, I often take for granted the size and scope of the annual South by Southwest (SXSW) conference. There are essentially three conferences in one: Interactive (tech), Film, and Music. Starting last Friday, there will be tens of thousands of techies, film buffs, and music fans cycling through town. Heck, there will be close to 2,000 musical acts taking the stage over just a half of a week. This year a number of domain name companies are taking part in the Interactive festival. Last night I ventured to Demand Media’s party and then had dinner with Brian Hall of Traverse Legal. Here are a few of my observations, having been in Austin during SXSW for about 15 years. 1. The personality of the Interactive attendees is looking more and more like music attendees. Seriously, I feel kind of like a misfit with my lack of tattoos and no thick-framed glasses. Sometimes it’s difficult to tell the difference between techies and musicians. Mobile phones are like the new cigarette. People used to smoke in bars as a social crutch; something to do. Now that they can’t smoke, they pull out their phones and act like they’re doing something really important. I’ve found myself doing this in the past, but am making an effort this year to leave it in my pocket. 3. Book your hotel early. If you ever make the trip to SXSW, book your hotel early. Like 6 months early. Many of my friends figured this out the hard way, and are staying at “hourly” hotels on the outskirts of town. 4. We need to have a domainer meetup during SXSW next year. I’m already working on an Austin meetup on a UT football weekend this year. But I think a meetup during SXSW Interactive next year makes sense given the number of domain companies in town.